Arrogance and greed add up to a powerful motive for murder. 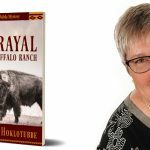 Travel agent Sadie Walela, who lives on a small country property with Sonny, her wolfdog, returns from a funeral to find her boyfriend, Deputy Lance Smith, at the scene of a nearby murder. The dead man, who was killed by a handmade arrow, is said to have been acquainted with ranch owner Angus Clyborn, but Clyborn, a newcomer, denies knowing him. An animal rights group is picketing Clyborn’s Buffalo Ranch, which is stocked with tame buffalo, elk, and other animals he intends to charge big bucks for rich trophy hunters to shoot. 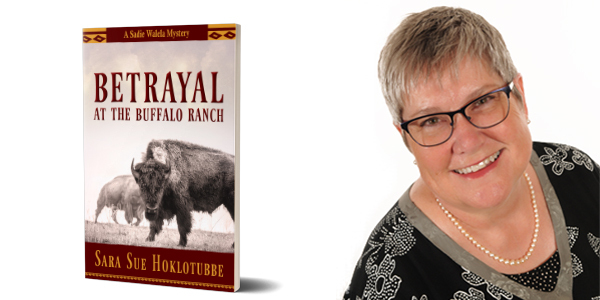 After Sadie witnesses the birth of a white buffalo calf on Clyborn’s property, she knows trouble is on the way should word get out a sacred animal was born there. Read the full review online on Kirkus.